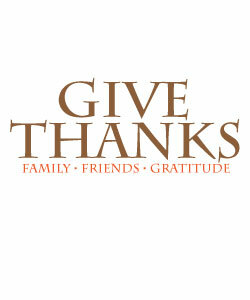 Thanksgiving, a time to feast, give thanks and sometimes, endure awkward questions with your family. That’s it, right? Well, not just that. Thanksgiving is also a good time to build your network. With all the parties and dinners to attend, I am sure your professional life isn’t your top priority right now. Thanksgiving and your career aren’t mutually exclusive, this holiday is actually a good excuse to touch base with your contacts and meet new people. I hear you. But those days are over—unless you want to get stuck without a job after graduation. It’s not totally over—I am not stopping you from spending Thanksgiving with your folks, but at least think of productive ways to spend it. Instead of partying to get drunk, party to meet new people. Instead of calling old friends to gossip about high school, talk about your internship plans. Swap contacts and interview notes. Building your network, even before you graduate, is good preparation for when you need a full time job. It isn’t too late to make the most of this holiday. Make a realistic list – List all the dinners and parties you can realistically attend given your limited schedule. Resist the urge to squeeze too many events into one night. That’s not just realistic and it makes you look like a rude guest! Enjoy your dinner and the people around you. Prioritize events where hot prospects—former professor, classmate, former boss, and mentor—are in attendance. Aim to talk to them at least once during the event. Sometimes, it’s enough just to say “Hi” and ask what they’ve been up to. Send a greeting card to everyone else you can’t meet – Select an appropriate card or e-card to send. For mentors or old professors, thank them for a particular piece of advice or lesson they taught you. For colleagues and bosses, thank them for their specific contributions in your professional life. No need to write a teary novel, two to three sentences will do. Bring a buddy – A wingman isn’t just for dates. Bring someone with you so you can meet more people, talk up each other, and rendezvous with each other if you need a break. But don’t be tempted to sit in the corner and ignore everyone else. Your wingman is there for support—to introduce you and help you break into formed groups—not to keep you company. With all this, you can still enjoy Thanksgiving while meeting new people. A word of advice: know when you’ve had enough to drink. Yes, people are drinking and having fun but that doesn’t excuse inappropriate behavior.